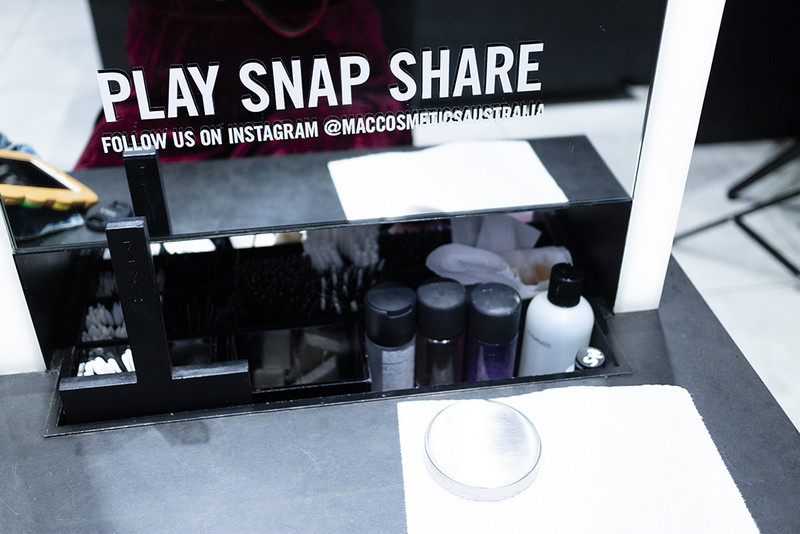 Diary: A Glowing Complexion for #EveryShadeOfYou (MAC Cosmetics) – Oh My Stellar! 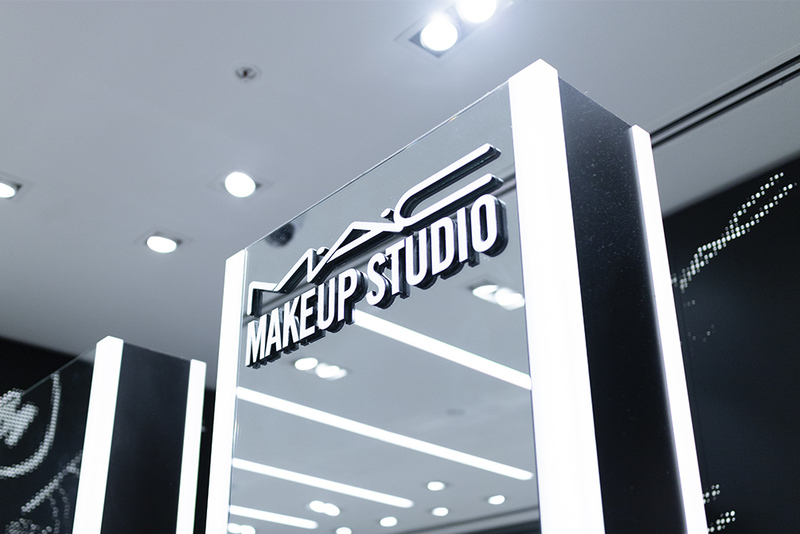 As a brand, MAC has a special place in my heart because they were one of the first high end make up brands that I purchased from (their Dubbonet Lipstick, which was my dance school staple for years). 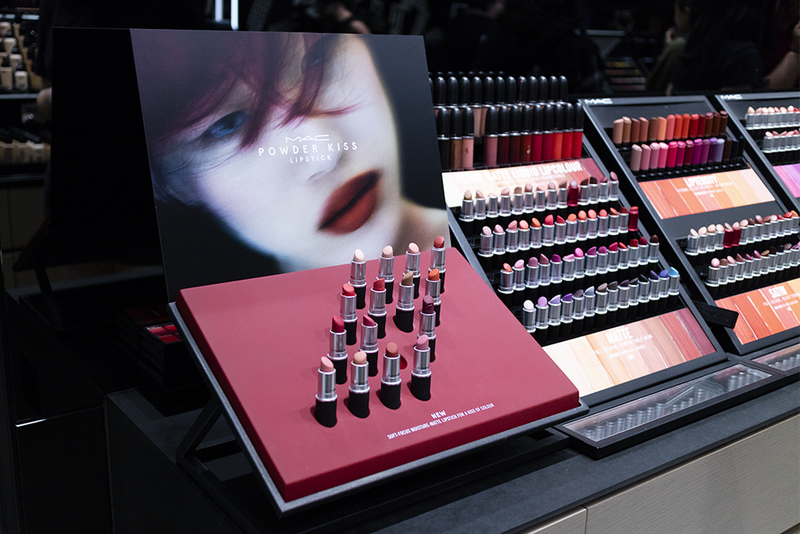 In fact, I remember that I would send my mother long lists of lipstick names so that she could bring me back a bunch every time she went to the United States – so it’s really exciting now that MAC is much more easily accessible and the price point much more similar to the US. I remember that growing up, the brand always felt too professional and too expensive for me, but I have always loved what they stand for. 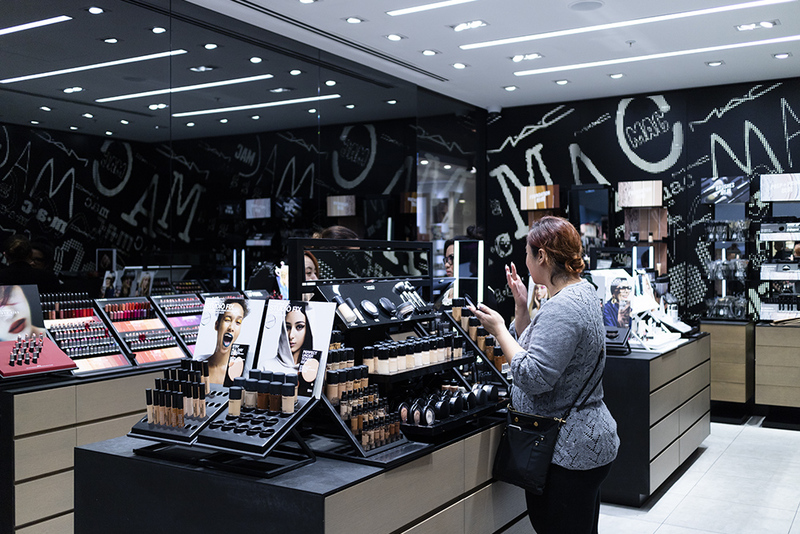 MAC Cosmetics was started by Frank Toskan (Makeup Artists and Photographer) and Frank Angelo (Salon Owner), fuelled by their professional frustrations. They had difficulty finding coloured cosmetics that worked well on camera and so developed their first products with that in mind. 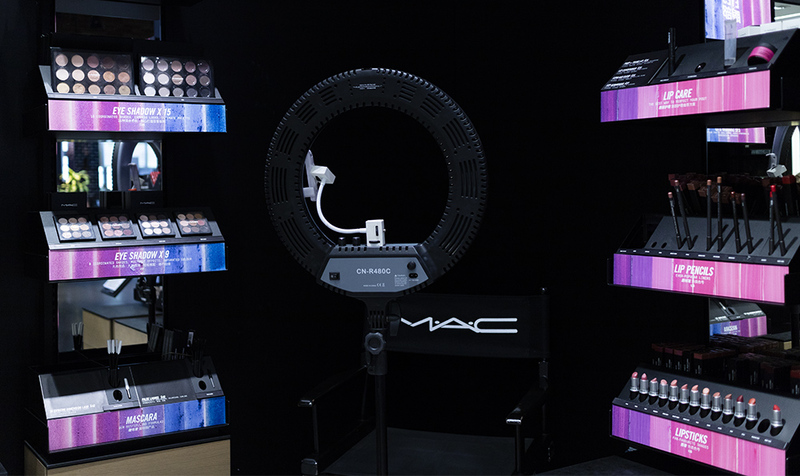 As a brand, MAC started off targeting industry professional – make up artists, photographers, fashion stylists, but their popularity grew commercial and their avante garde approach to make up artistry caught the attention of the public. In addition, they launched the MAC Aids Fund in 1994, the same year that AIDS became the leading cause of death for all Americans ages 25 to 44 [source] – their created the Viva Glam lipstick, where 100% of the purchase price does straight to providing financial support for organisations fighting the illness. This is something that is really important to me, not because I personally know anyone suffering from HIV/AIDS, but because I understand the amount of pain and hurt anything like this can bring. 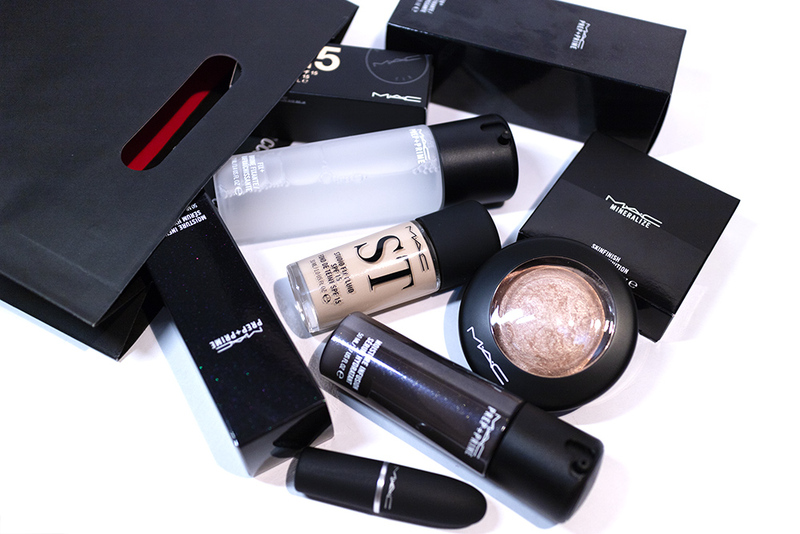 As a brand, MAC Cosmetics is one that I really respect. They stand for innovation, creativity, individuality and – now with their Every Shade of You campaign – are also boldly standing for diversity and inclusivity. They are a brand that I will continue to love and support, from when I was 11 to now. 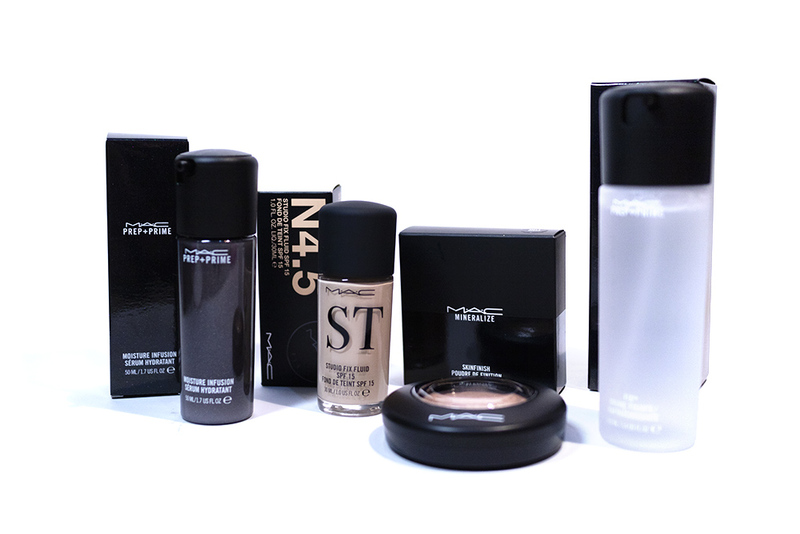 MAC Studio Fix is their line of complexion products, which have now been expanded to match more shades and complex undertones. The line includes their Studio Fix Fluid liquid foundation (which I discuss below), Powder Plus Foundation (a powder foundation), 24-Hour Smooth Wear Concealer (which is a liquid concealer I am very keen on buying soon), as well as a handful of contour, concealer and colour correction palettes – which are more suited for professional use than personal, in my opinion. 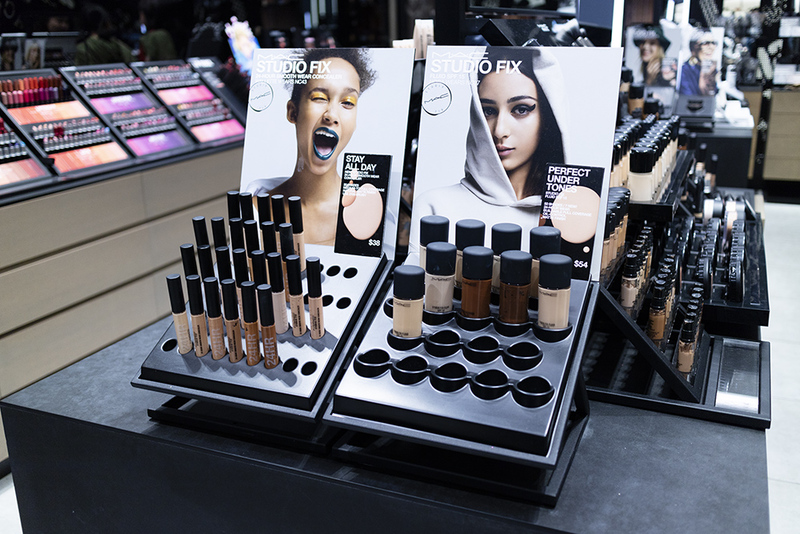 All of their products were available to check out in store, though I already know that I will be making another trip soon to check out more of these products, and their make up artists are also ready to help you shade match as well. They have cool, neutral, neutral-cool and neutral-warm shades – so there’s a great variety to undertones, as well as a range in light, medium and dark shades. This is also completely off topic but I also took the chance that day to check out their new Powder Kiss Lipstick range! I ended up buying one of them (the Devoted to Chili shade) to try out because I wasn’t fully convinced of the formula – I like matte finishes and generally hate any subtle or light pigmentation lipsticks. However, I am totally in love with this new formula and I am praying that they release more shades because they are missing a muted mauve like Captive (which is what I wanted). The lipstick has a very lightweight and easy to apply formula, which is also easy to feather out on the edges or sheer out if you want. 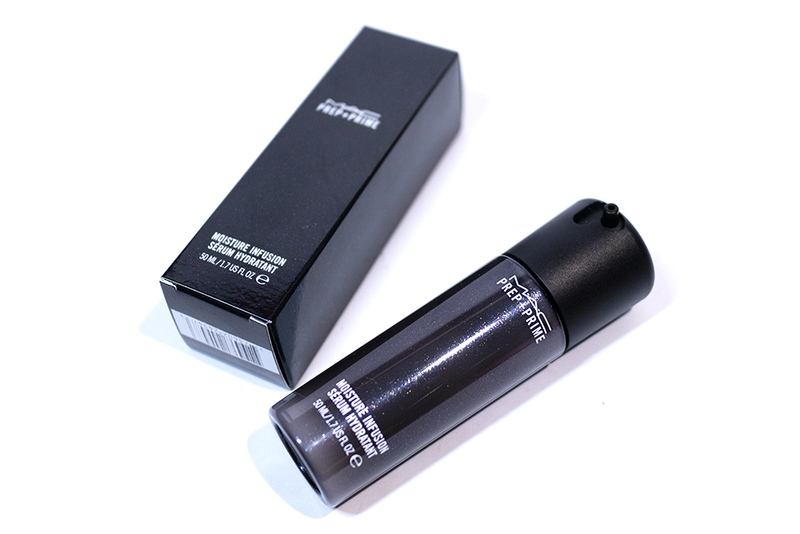 It has a powdery finish, but is also every creamy and hydrating on the lips. It doesn’t accent dry patches or dry out lips at all. Just wanted to add this in and tell y’all that you need to check this one out. Buy it and support it so we can have more shades, please. Back to foundation – when we went to shade match me, I made sure to have a discussion with the make up artist beforehand. 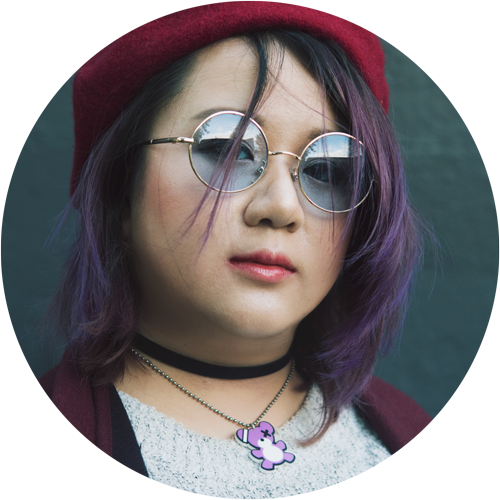 I only have issues with people shade matching me too dark, either because they assume I will tan in the summer (this is Australia after all, but I am unfortunately a vampire) or because they see that I am Asian and assume they need to go super warm. I actually have a neutral undertone that leans the very slightest to the warm spectrum, though I generally prefer to use neutral undertones. I also prefer to shade match a little bit lighter (rather than darker) so that I can then layer my bronzers and blushers on top. That all being said, I’ve always been on the lighter side and it seems that I’ve only become paler in recent years because I was shade matched very differently now (in comparison to many years ago). 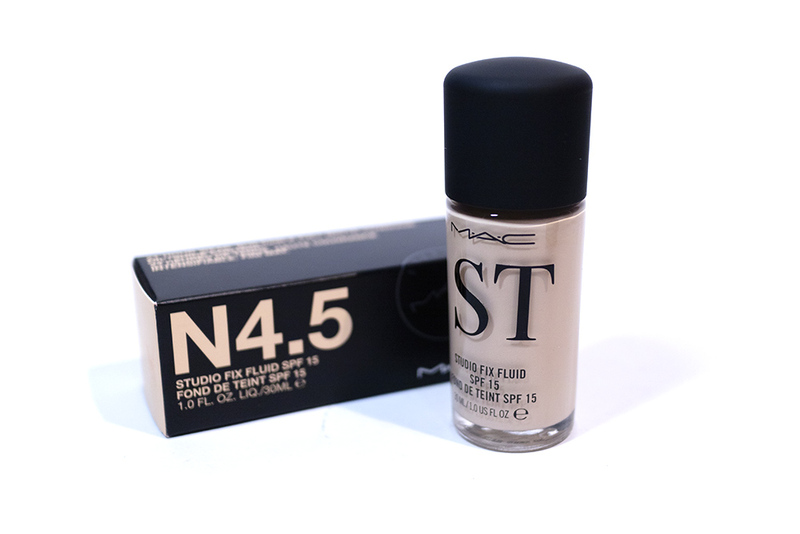 I currently use a shade N4.5 which is one of the lighter shades they carry. As you can see from the below image, we tried out a few different colours too – a half shade darker, as well as a warmer undertone to see what I preferred. I love that the make up artist gave great tips on how she was shade matching me, as well as listening to my own preferences – because, in the end, make up is a very personal thing. She also advised that the Studio Fix Fluid foundation does not oxidize, so you don’t need to compensate for that. I found that it was really easy to find my shade match and we were done much sooner than I thought. In fact, the first shade was the one that I ended up going with. I feel like, because MAC Cosmetics has such an expansive range now (and also because their make up artists are well trained and experienced), it’s really easy to find your perfect shade. And these are the products that I was gifted and came home with (aside from the lipstick pictured above that I had to buy regardless). These are a special selection curated to help create a glowing, highlighted complexion that is best suited for people with combination skin (like myself) who want to have a well hydrated and naturally radiant look, but without accenting any of our natural oils – which will always be peeking at the end of the day. 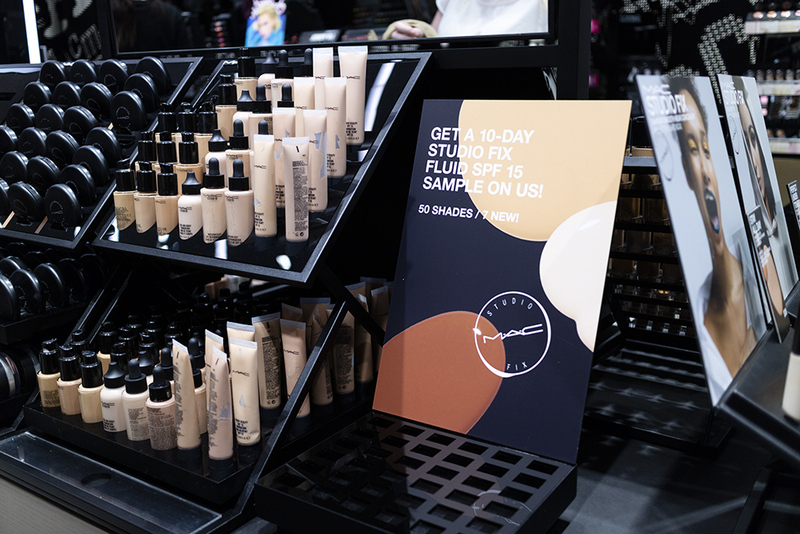 For this, I was recommended to go with their Moisture Infusion as a primer, the Studio Fix Fluid foundation, their Mineralise Skinfinish in Soft & Gentle (a cult favourite highlighter of theirs) and – just to finish off any look – I was also gifted a bottle of their original Fix+ spray. At the moment, I use the original, Matte or Pinklite version interchangeably (depending on what finish I’m after), so I have continued to do that. Either way, I’m a fan of their Fix+ spray and I love that it has multiple purposes, which I will be discussing below. This has been the complexion routine that I’ve been following almost every day since receiving these products and, while there are some down sides that I will note, they have all in all been perfect for me! Whether it is the products or the combination of them, they have helped me achieve a beautifully flawless finish that wears well throughout the day. Even when my oils are coming through, it’s so easy to touch up with blotting paper or a cushion (I always carry a random one) and the foundation fades naturally without any caking. The highlight is also super beautiful and natural. Well, I’m going into the individual products now! First off is primer – and I seldom, if ever, skip this step. To help keep my skin hydrated throughout the day, I was recommended to try the Moisture Infusion. This product comes in a plastic pump bottle, similar to the Fix+ spray but in a 50mL bottle. It has a semi-opaque black colouring with glitter detail that is really pretty and luxe looking! 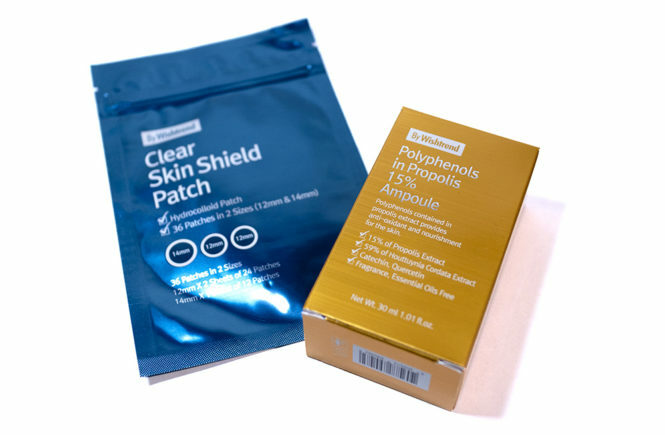 The product has a lightweight gel formula that absorbs easily into the skin, much like skincare would, and also gives your skin an instant plumpness and dewiness. 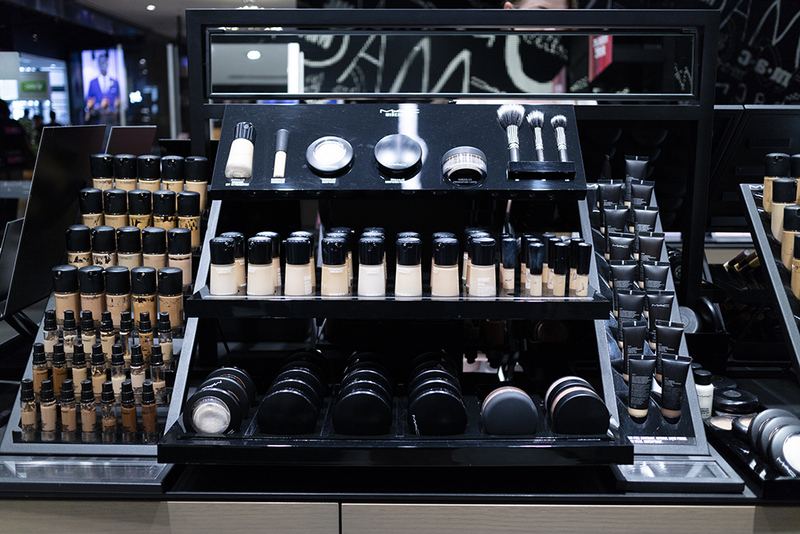 By taking care to prep and moisturise the skin early on in the make up routine, you will also prevent it from drying out (which, is turn, is what can cause excess oil production). I fell in love with this primer the moment I tried it on and, without a doubt, this is going to be one that I return to. 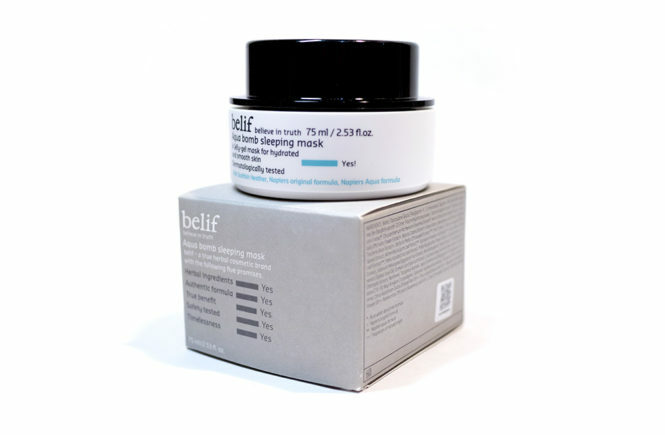 It is deeply hydrating and feeling amazing on the skin, but it is also light and not overly creamy or heavy. There is no slip to it, just a beautiful and fresh glow. Although I don’t think this primer helps to fill mores, it does help the wear time of foundation in that it works to balance out the oils in my t-zone. I’ve been mostly wearing this primer with the Studio Fix Fluid foundation but I’m going to also start wearing it with others. I generally use around 2-3 pumps (each pump is quite small, so it is easy to control dispensing) for a full face application. THOUGHTS? 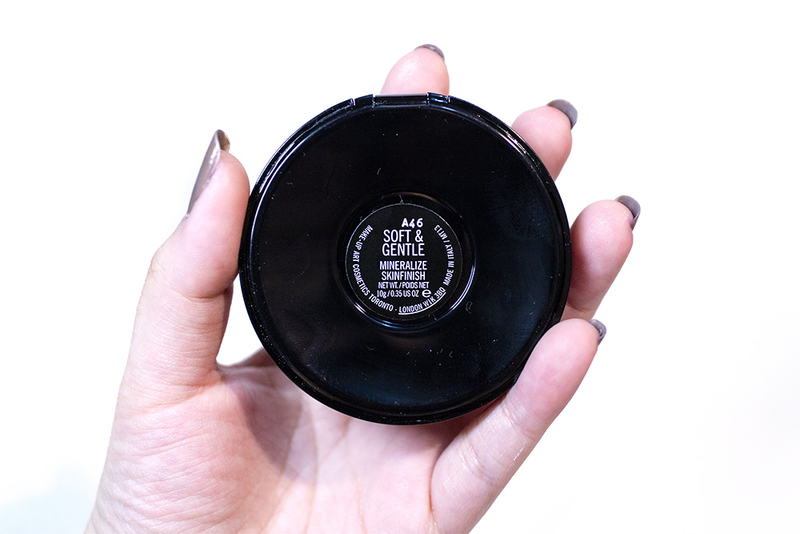 This primer works really well for me personally and it is definitely one that I would recommend other people to try out. I don’t think that its oil controlling benefits would be enough for people with oily skin, but for those like me with combination skin – this will be magic. 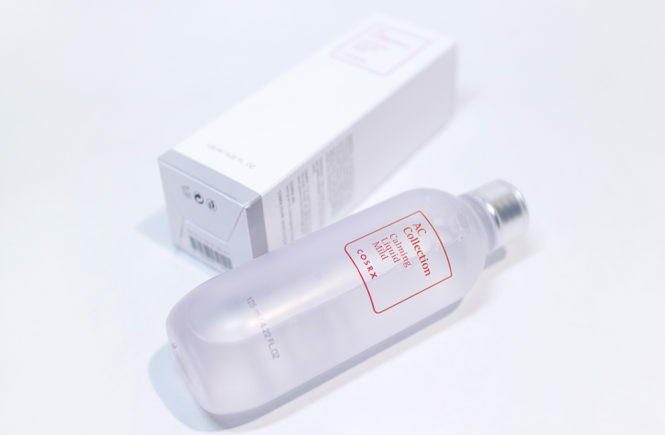 The only real downside is the price point, which is a bit expensive at AUD$67 for the bottle, but keep in mind that you get quite a lot of product in the bottle. This is something that I would be happy to spend the money on as I see real benefits to using it in my routine. And then, of course, is the hero of this entire campaign! I was gifted a bottle of the Studio Fix Fluid and I have been using it almost every day since. 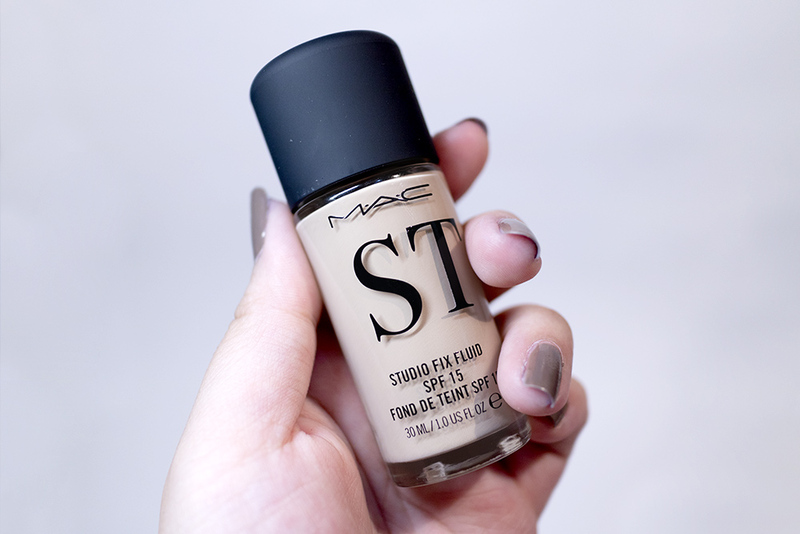 The colour is a perfect match for me (as you can read about in my above shade matching section) but I also love that the formula wears so well throughout the day. I get a very oily t-zone with a lot of sebum peeking through. While this foundation is not a heavy, super matte formula that stops all of that (which, to be honest, is one of my least favourite types of formulas anyway) it does fade really naturally during the day. 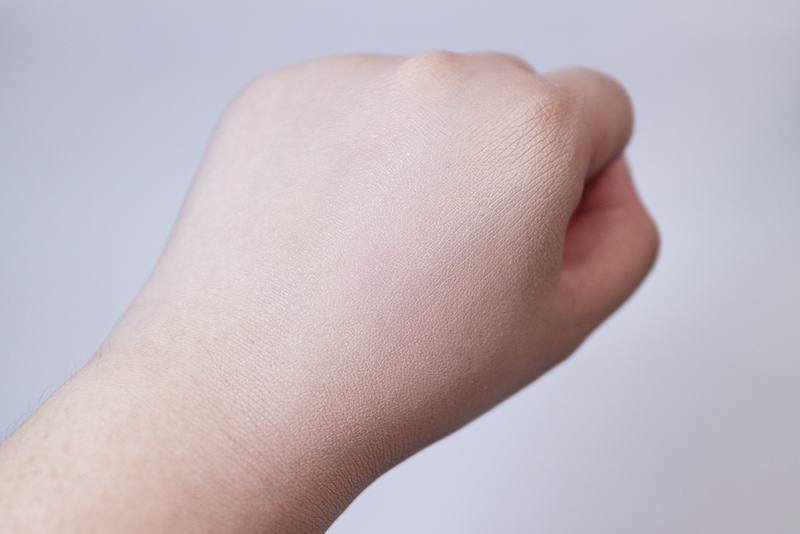 It does not cake up and, in faded areas, is very easy to touch up. Generally, I would just use a powder or blotting paper (latter preferred) to remove my shine and it’s all good. 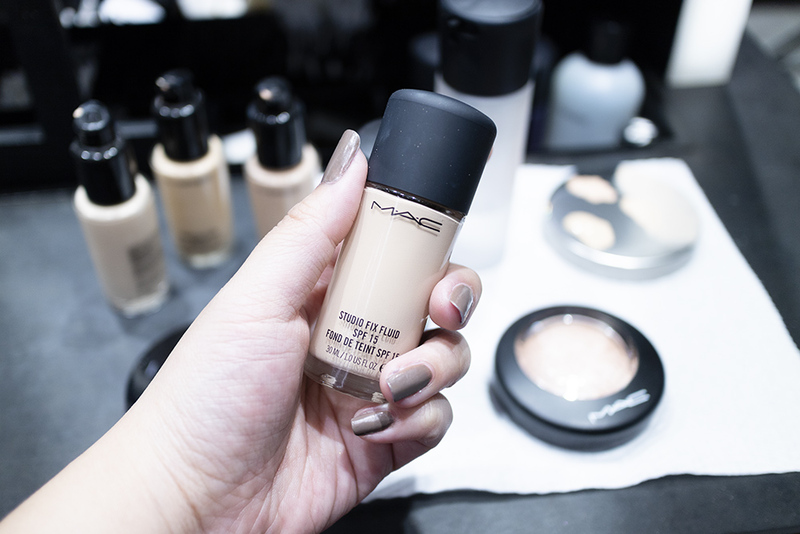 This is definitely a formula that I would recommend to those with combination skin – if you have dry or oily skin, this foundation would also work for you but you may choose to pair it with different products to customise your finish (e.g. strobe cream for dry skin and setting powders for oily skin). For myself, I just use the previous mentioned primer and then an overall spritz of Fix+ to finish up my complexion. The foundation has a medium to full coverage that can be very easily built up, so I only need to add concealer sparingly. 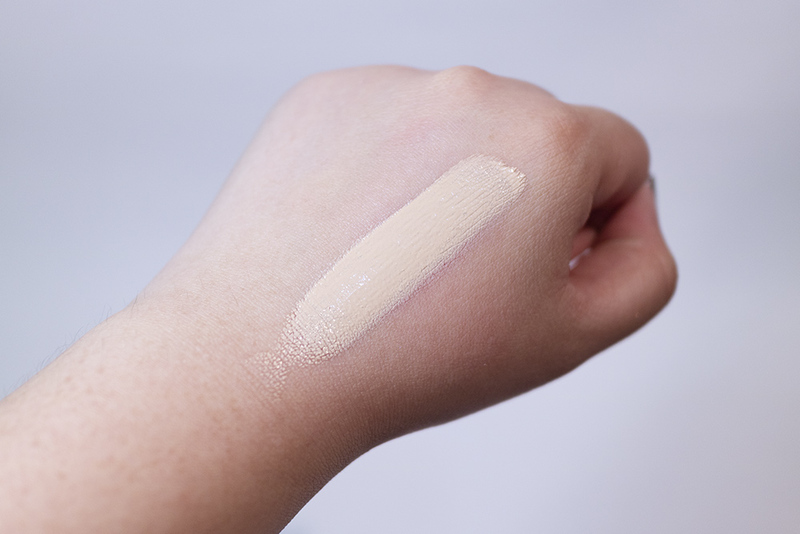 It also has a matte finish but a creamy and easy to blend texture that doesn’t feel heavy or thick on skin Overall, I’m really happy with the formula and application. I usually apply this with a sponge but it can also be buffed in with a brush, I just find that the sponge gives me a more flawless finish. As for the packaging, this product comes in a sturdy and luxurious glass bottle with a matte cap. I actually had mine customised with my initials but the regular bottle is clear glass. There are only two downsides to this packaging – the weight and the lack of a pump. The pump needs to be purchased separately or you would pour out the foundation – which doesn’t work that well since this formula is so creamy. THOUGHTS? I am a new fan of this foundation and I’m surprised that I didn’t try it out sooner! It is definitely one that I recommend to people. Although the finish is matte, the formula is so comfortable on the skin that I feel this would suit a variety of skin types. I also like that there’s an amazing shade range with varying undertones. It also wears incredibly for me throughout my 12 hour day. 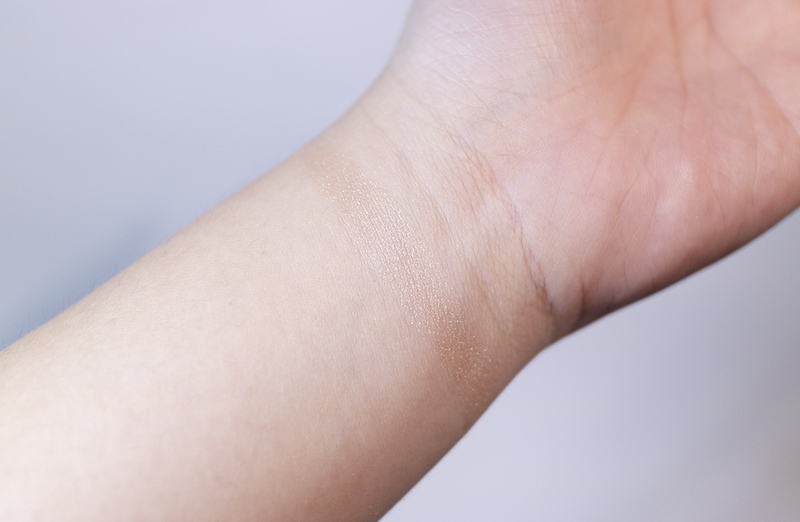 Aside from the weight and lack of a pump (which are definitely negatives), I do have to point out that the scent of this foundation is horrible and I hope that they fix this soon. The foundation smells like paint and, while the scent does fade once it’s dried, it is just not very pleasant. If you are sensitive to scents, definitely try this one in store first as its quite strong. 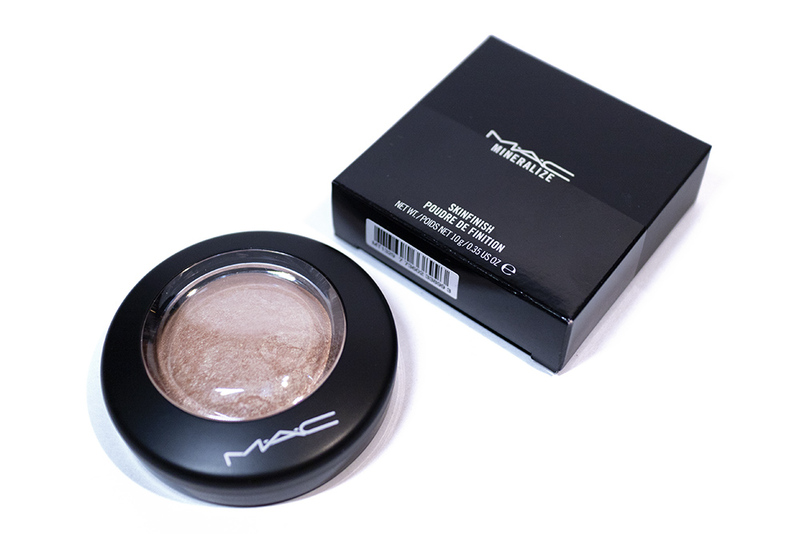 The highlighter that I was recommended to try out is their Mineralize Skinfinish in Soft & Gentle, which is a cult favourite from MAC. 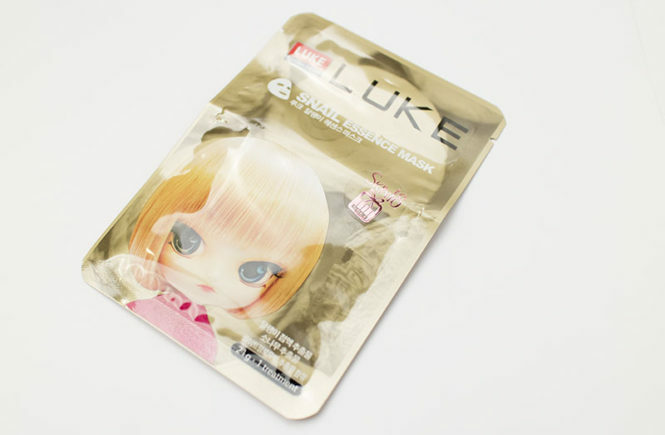 It is described as a gilded peach gold and I find that it has a pinkish champagne colour that is really natural and flattering on light to medium skin tones. That being said, their Skinfinishes come in five shades for different skin tones and colour preferences – and they have a range of other highlighters too – so there is bound to be one to suit you. 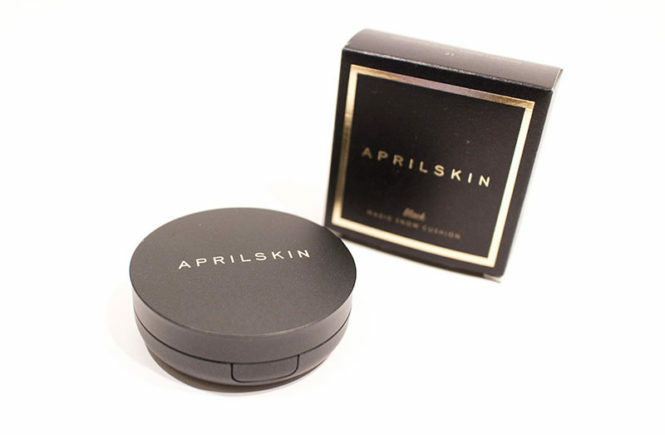 This highlighter comes in a sleek black compact with a magnetic closure. They’ve definitely redesigned their packaging and I am loving it – this looks so trendy and high end, with a modern feel that is an improvement on their classic black frosted matte look. The compact doesn’t have a mirror (which is fine for what it is) but instead has a clear window so that you can see what is inside. This is probably the best thing for working make up artists, so that they can immediately see what is in their kit. I also personally like this as I do own a lot of highlighters and it is easier to see what I’m reaching for. Opening it up, the product has a baked formula (from what I can see). It is also quite powdery and, to be honest, a bit of a mess. This is definitely one that I get a lot of kick back from. It has a frosted sort of texture and, while it is quite fine, it also feels a bit dry. That being said, this is still a really nice highlighter and it applies well on the skin. With a dry brush, you can achieve a very natural look while a dampened brush (cue MAC Fix+) will give you a very intense glow. However, the mess of it in the pan does deter me from recommending this to other people. I like that I have it and I reach for it often, but it isn’t my favourite. THOUGHTS? After breaking down my ratings, I’m surprised at how well this product rated. However, I will still stand by my opinion. 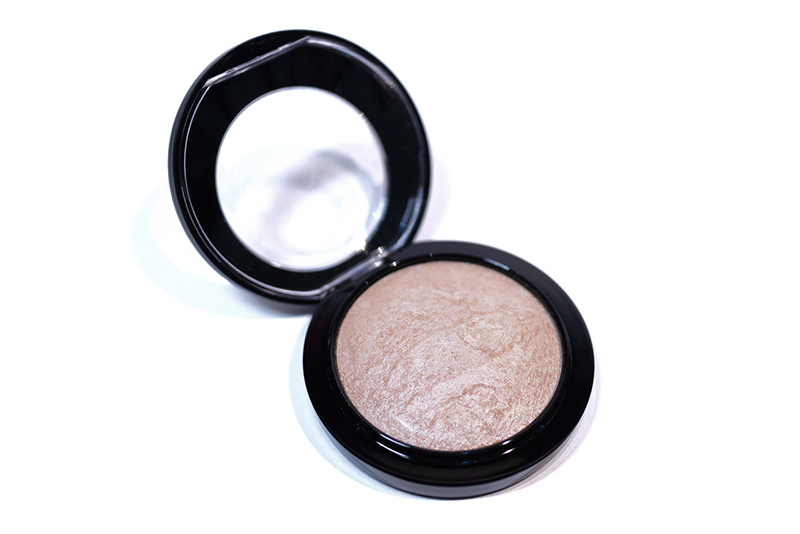 I like the highlighter – it’s really pretty and gives a very natural radiance to the skin. It’s definitely one that I reach for often. However, it is still a very messy formula and I feel like there are other highlighters on the market that are easier to use and have less kick back. 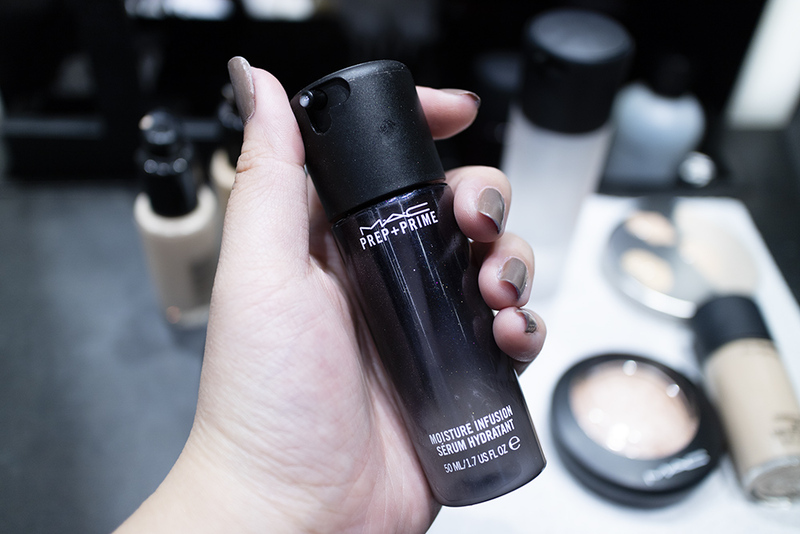 And lastly is arguably MAC Cosmetics‘ most famous product – their original Fix+ spray! I was also gifted a bottle of this to finish off my complexion routine but, to be honest, I already have three bottles of this sitting on my vanity (original, matte and pinklite) so I kind of wanted the goldlite to finish off my collection. Instead, this is now sitting on my shelf because I think I’m going to need a new bottle in a few more weeks anyway. This is a hydrating mist which also acts as a setting spray. 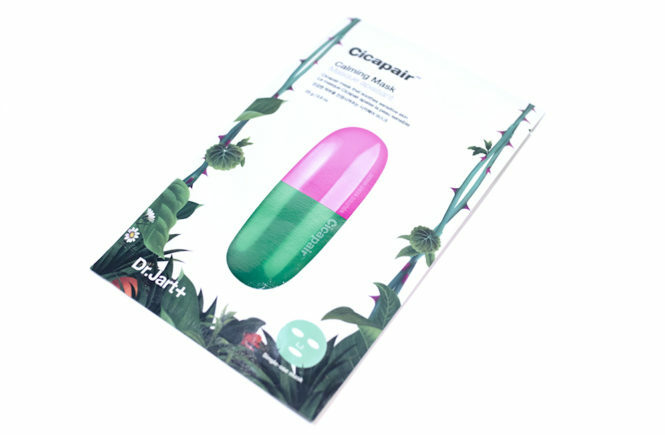 They have their original “herbal aroma”, as well as new scent variations in Rose, Lavender and Coconut. With the popularity of this product, MAC Cosmetics has also released different finishes (two of which I obviously have), their Matte spray, as well as a Pink and Gold shimmer spray (Pinklite and Goldlite). This spray gives your skin an instant boost of hydration and helps to refresh make up. 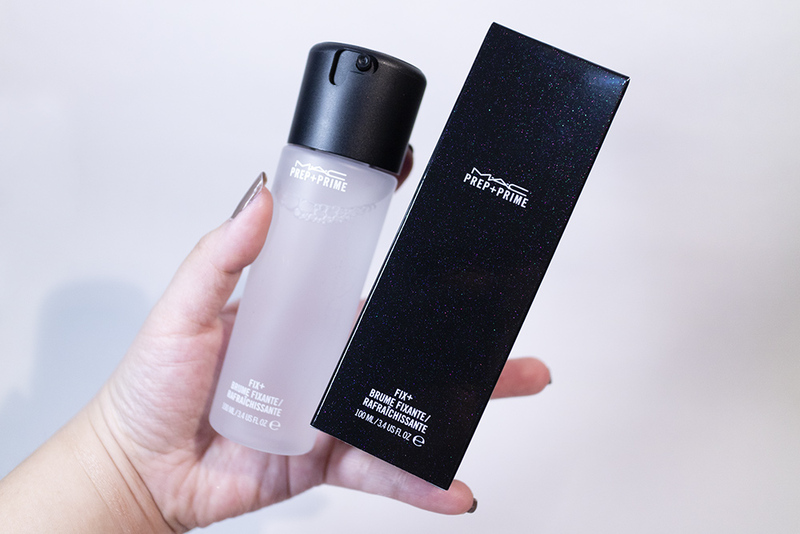 According to their website: “This holy grail of hydrating mists can be used with other products in near-endless ways – to sheer out foundation, intensify colour, improve and extend the wear of makeup, or moisturize and soothe tired skin.” Aside from all over the face, you can also use it to dampen brushes/eye shadow/pigment to intensify the finish or create a foiled look with metallic shadows – precisely the reason why this spray is a make up artist favourite. It is incredibly versatile. The Fix+ spray comes in a bottle of 100mL (or thee are also travel sizes available). To use the spray, the directions state to “hold bottle 12 inches away from face and spray evenly.” I have to warn that the spray is actually really strong and a bit more like a water gun than a mist sometimes (haha) so holding it at a distance and moving the bottle as you spray will give the most even application. THOUGHTS? I have been slamming my way through my own bottle of Fix+, hence why I need a new one. 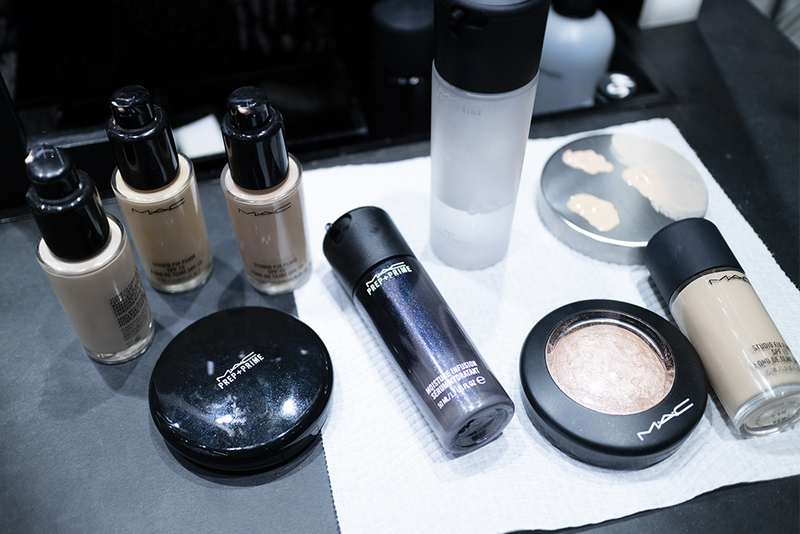 Depending on the finish that I’m after, I would be reaching for a different variant – the original tends to give a more dewy, natural finish while the others can add in either a mattifying powder or a shimmer look. In this sense, I use this spray as both a setting and a finishing spray. That being said, I feel like the original Fix+ is a necessity in every make up user’s kit – it is just so useful. I especially love using it to dampen eyeshadows or even highlighters (like the Soft & Gentle) to give a more intense look. The price point is also pretty good – for comparison, the Urban Decay All Nighter sets you back AUD$49 for around 120mL, so this one definitely wins in affordability. I would suggest trying out the original Fix+ if you’re after a hydrating mist or a dewy finish. Otherwise, I also love, love my Matte and Pinklite variants. 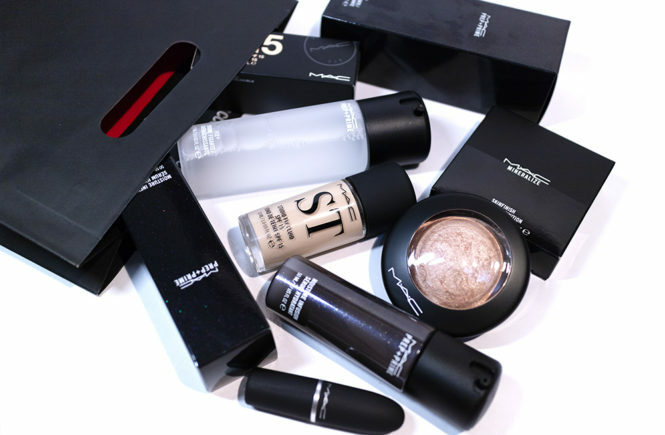 So they’re the products that I received from MAC Cosmetics and the experience that I had at their store! I am so happy to have been invited for this opportunity and I love working with brands that have such great morals and stories to tell. 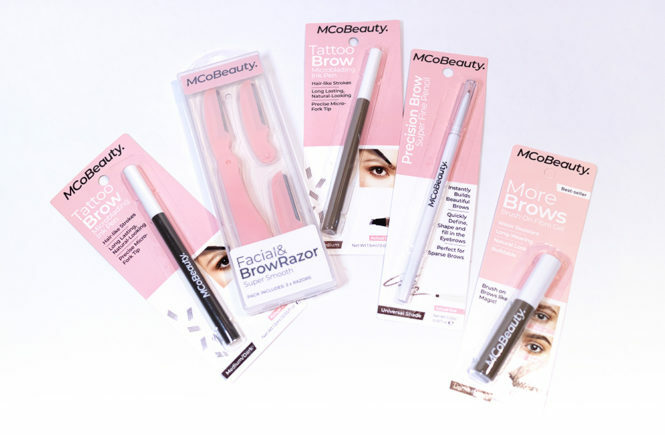 I’m going to be continuing to use these products day to day (obviously) and you can bet that I’ll be keeping an eye on all of their new releases too. For now, I’m super keen on their Holiday 2018 Collection and the new Powder Kiss lipsticks – so please let me know your thoughts and if you have any experiences with them!